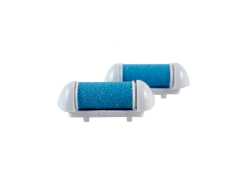 Battery-operated waterproof callous remover gently and effectively sweeps away calluses in seconds. 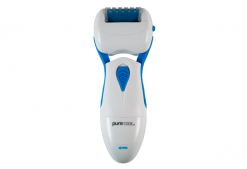 The durable, replaceable head, contains high quality micro-abrasive mineral particles for baby smooth skin. 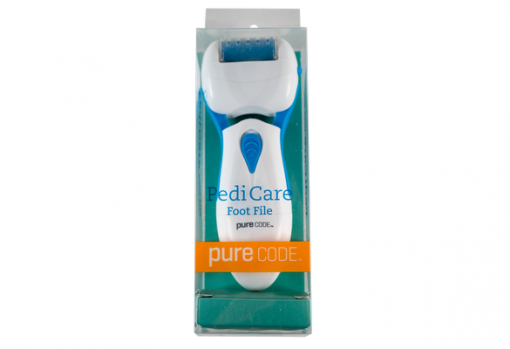 Pedi Care Foot File is safe and convenient to use. 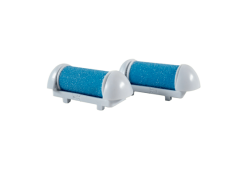 Battery-operated waterproof callous remover gently and effectively sweeps away in seconds. The durable, replaceable head, contains high quality micro-abrasive mineral particles for baby smooth skin. 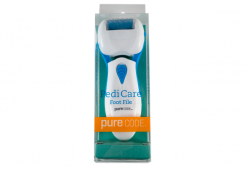 Pedi Care Foot File is safe and convenient to use. Requires 2 AA batteries (not included). Cleaning brush included. 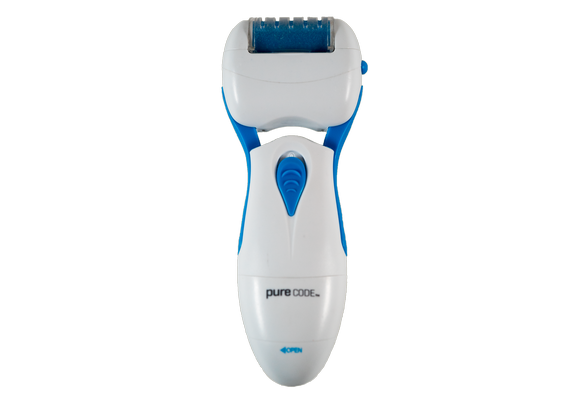 The device is designed for smoothing coarse skin on the feet and heels, do not use this device anywhere else on the body. Do not soak your feet before using the device. This will make it inefficient for the hard skin to be effectively removed. The device should be used on dry skin only. Wash and clean the skin and dry fully. Turn on the unit by pressing the safety switch sock, in the center of the on/off switch, and at the same time push the switch up. Gently rotate(back and forth or side to side). Go over the area for 2-3 more seconds and check again. Continue to use this method until the level of smoothness is obtained. Rinse the skin or use a wet towel to get rid of the excess dead particles.